On the evening of October 31, 1517, an obscure Augustinian monk nailed an historic proclamation to the door of the Castle Church in Wittenburg, Germany. In a total of ninety-five theses, Martin Luther outlines his objections to the Roman Catholic Church's selling of "indulgences," arguing that such a practice substituted human effort for God's unmerited grace in the salvation process. Luther's intention was merely to correct such errors from within Catholicism, but he instead found himself to be one of the main characters in an unfolding drama subsequently known as the Protestant Reformation. Spreading rapidly across Europe, the Reformation soon included such men as John Calvin, Uldrich Zwingli, and others, as thousands returned to the Scriptures alone as the foundation of their religious faith. Today, even those within professed Protestantism are divided on the very same issues that so long ago divided the Reformers from Rome. Does God act alone in saving men, or do men contribute to their own salvation? Did the death of Christ really procure redemption for His people, or did it merely provide potential salvation to those who would exercise their free will in believing? Is the salvation of believers really secured by the Holy Spirit, or can it be forfeited by disobedience or unbelief? 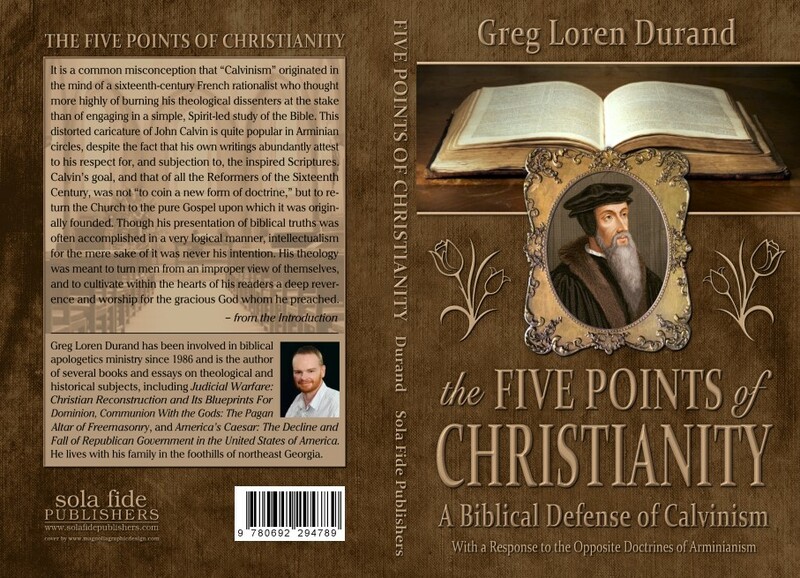 These and other important questions are answered in this exposition of... "the five points of Christianity."